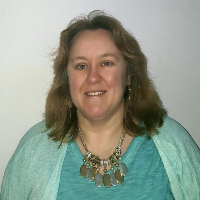 Elaine is a Licensed Clinical Social Worker who provides therapy from a client centered, holistic, reality based approach to teens, adults, couples, and families. Elaine has experience treating a range of issues including trauma, mood experiences, anxiety, depression, stress, relationship issues, LGBTQ experiences, and addictions. Elaine has been practicing in a therapeutic role with individuals, groups and families for over 20 years. Her focus is on helping clients meet their goals successfully. Elaine has worked with people on a variety of issues and situations. Our time together will be free of judgement and supportive. I love Elaine! She is super helpful and always available. She has a ton of different resources and always checks up on me during the week.Definitely recommend for any issue you may be having or any tough emotions you need help in dealing with. While I wasn't looking forward to signing up for any kind of therapy, Elaine is easy to talk to and has already helped in a lot of ways with how I cope with anxiety despite me being sort of new here. Would definitely recommend her expertise to anyone with a habit of worrying excessively. Elaine has been very helpful in helping me work through my anxiety, depression, and hopelessness. She is knowledgeable and inventive when it comes to combating mental health issues. Most importantly, she responds quickly to my queries and is available on a regular basis. Would you like to write a review for Elaine Bonitatibus? We'd appreciate if you can spend a couple of minutes to write a short review for Elaine Bonitatibus (MSW, LCSW, LICSW). This review would be shared with Elaine Bonitatibus. It may also be posted in our website or in Elaine Bonitatibus's profile but it would be anonymous and your identity would be kept completely confidential.